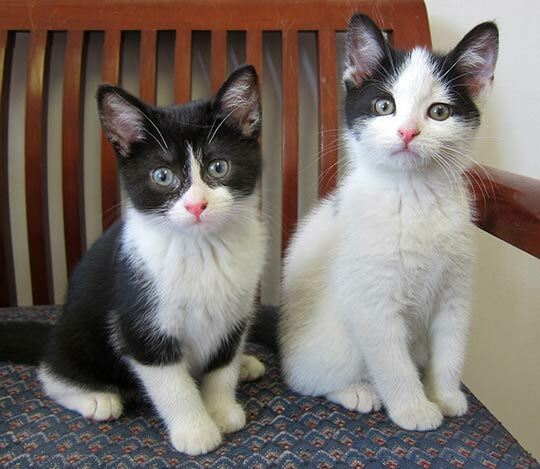 Ceto, the tuxie girl kitten on the left, and Pontus, in white with black, are actually a sea god and goddess. You wouldn’t know it by looking at them. 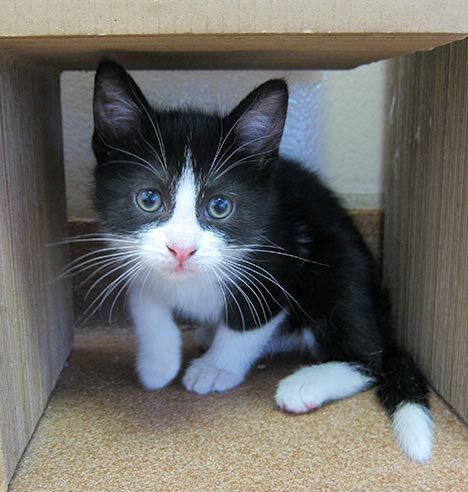 They are extremely well socialized and nicely behaved kittens, as is their brother Nereus below. Their mom is the lovely Gaia, great mother goddess in Greek mythology. She certainly produced some cute kittens! 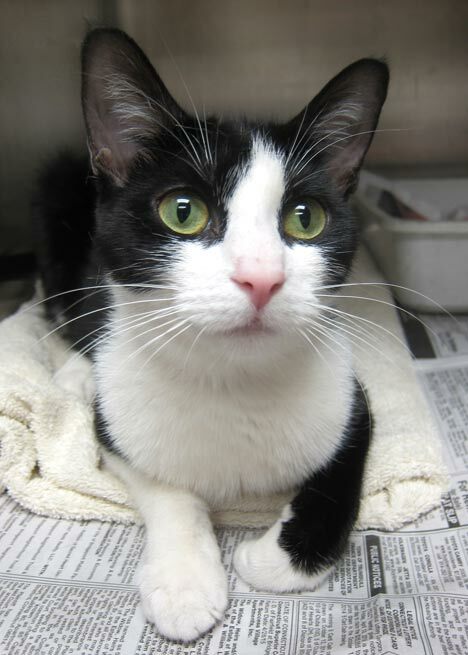 Gaia is resting from her labors now and will be available after her spay. Her kittens were all adopted together! Come to PAWS where you can adopt legendary cats and kittens!